"I love the Blades, they are sensational and ingenious." "Just wonderful... Murez' Blades are reminiscent of Giacometti and Louise Bourgeois." 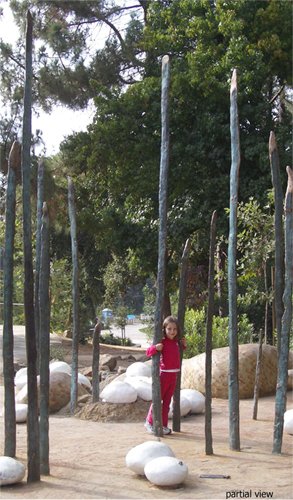 An installation of two dozen abstract bronze grass blades with macroscopic textures and details 4"x3"x14' form an imaginary Tall Grass Habitat. The height draws attention from afar. The forms raise questions, "What are those things?" The feel is solid, yet buttery soft. The color is elegant, a classic teal patina with golden polished elements. The texture reveals details and inspires the senses.